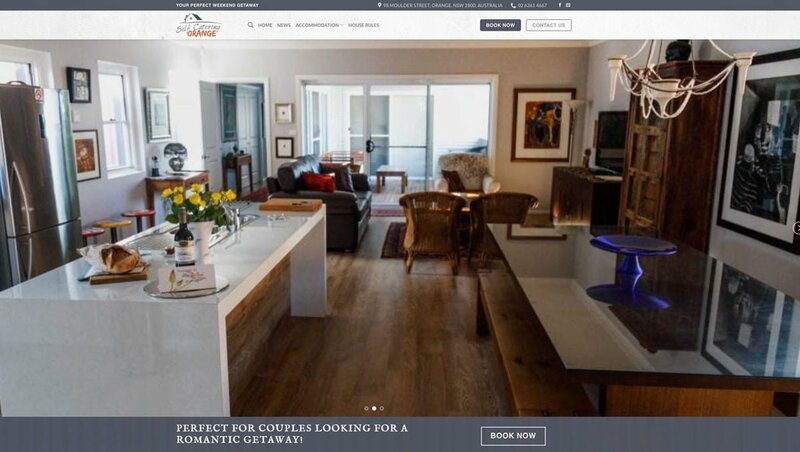 Social Web Works was approached by Boissy Bed with Breakfast to come up with a creative website design that best captured the country chic appeal of their superb new self catering cottage in Orange, NSW. The cottage, freshly renovated and stylishly furnished, is located in the heart of this vibrant destination town, within easy walking distance of almost everything. 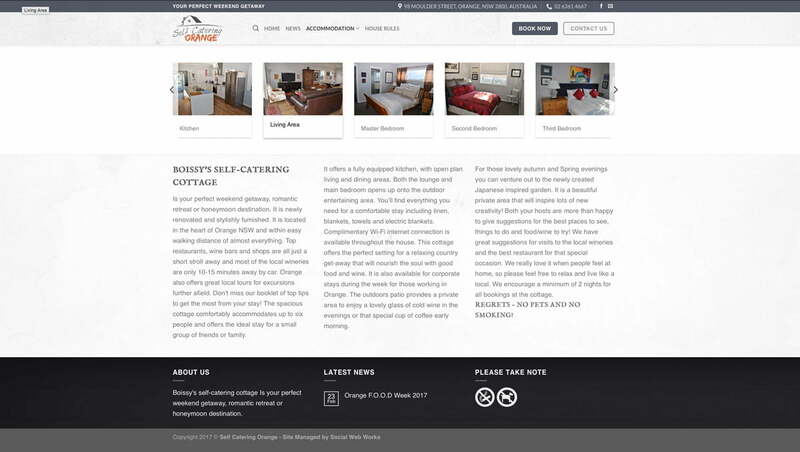 When creating this website we were very mindful that as a hospitality web design it needed to be both captivating and completely user friendly. So in keeping with the needs of the audience we used the up to the minute colours of the cottage, and kept the whole thing clean, simple, secure and easy to use. The clients were delighted with the results, and love the website. As an efficient, customer friendly accommodation booking site, Boissy’s Self Catering Cottage takes their security very seriously. The client wanted to be certain that their customer details and transactions would be kept completely safe. Social Web Works installed a top quality, reliable booking system that meets this imperative 100%. Boissy’s Bed With Breakfast owners, Gideon and Francois chose Social Web Works because of our outstanding reputation in the Central West of NSW. But you’ll enjoy equally exceptional service and outcomes wherever you’re situated – Bathurst, Sydney, Brisbane, or anywhere else in urban, regional or rural Australia. Plus our affordable web design means you don’t have to pay in a lump sump. Instead you can choose from a range of cost-effective monthly subscription packages which include full website hosting, support and maintenance. Get in touch with Social Web Works today to find out about the big difference we can make to your own online and marketing success.